So many people have taken to this sport for their own reasons. As individuals, we seek a way to experience nature, exercise and have fun on the water. SUP is a perfect fit. As competitors, we can find races and endurance challenges. But, perhaps most importantly, as a community, SUP can be a way to rally around a cause and show a large-scale effort to support an organization. It’s long been a hallmark of road races and biking events. And it gives the participants a way to merge their competitive spirit with a worthy cause. SUP races and charity events are now starting to pop up all over the country. For one example, just look to the recent HEAL event in Ponte Verdra Beach. On Labor Day, about 200 people participated in the third annual Great Ponte Vedra Paddle at Mickler’s Landing in Ponte Vedra Beach. It’s a fundraiser for HEAL, Healing Every Autistic Life, which supports local children and individuals living with autism and their families. On September 7th, the 2014 Round the Rock SUP Race and Expo takes place at Seward Park in Seattle. This is a nonprofit effort benefiting Athletes for Cancer and their Camp Koru Survivorship program. Like other SUP races and events in the nonprofit domain, this event mixes competition with fundraising to support the broader efforts of an organization devoted to empowering young cancer survivors. Then there’s the Standup for the Cure events. Scheduled for November 8th, 2014 in Miami, this event supports the fight against breast cancer and includes a ceremonial SUP paddle (the “Sea of Pink”), 5k race, team relay, kids race, and health expo. 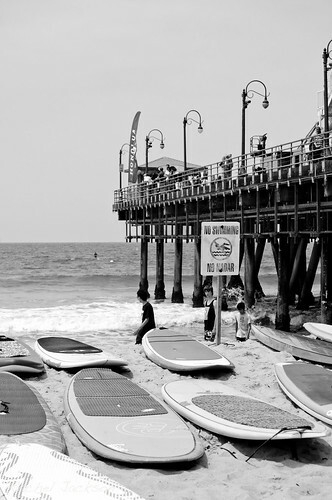 There is another Standup for the Cure event, the 4th annual, scheduled for May 2nd, 2015 in Newport Beach. Learn more here. There are also SUP and paddle events organized to support environmental sustainability efforts. One example is the upcoming Paddle for the Bays race in Cape Cod. This is a competitive racing event that supports the work of Three Bays Preservation, an organization created to preserve, maintain, protect and enhance the aquatic environment and related ecosystems of the three-bay estuary comprised of West Bay, North Bay, and Cotuit Bay in Cape Cod. These are just a few examples of SUP events organized in support of worthy causes. If you’re interested in participating, there is a good chance an event is taking place near you.